Many players equate anticipation with foot speed. Foot speed really has nothing to do with anticipation. Being able to “anticipate” is the ability to start moving toward the next shot before your opponent strikes the ball. One of the simplest fundamentals of anticipation is to “follow your shot in.” What this means is moving without the ball. In 1985 Naty Alvarado Sr. gave me the following tip. He said, “Once you attempt a kill shot, follow it in.” This simple tip has proved to work for me for many years. When watching matches, I tend to see most players “hit and stand.” They hit the ball and stand in the same place. Moving without the ball means hitting the shot and either following it in when attempting a kill shot, or moving toward center court when attempting any other shot. 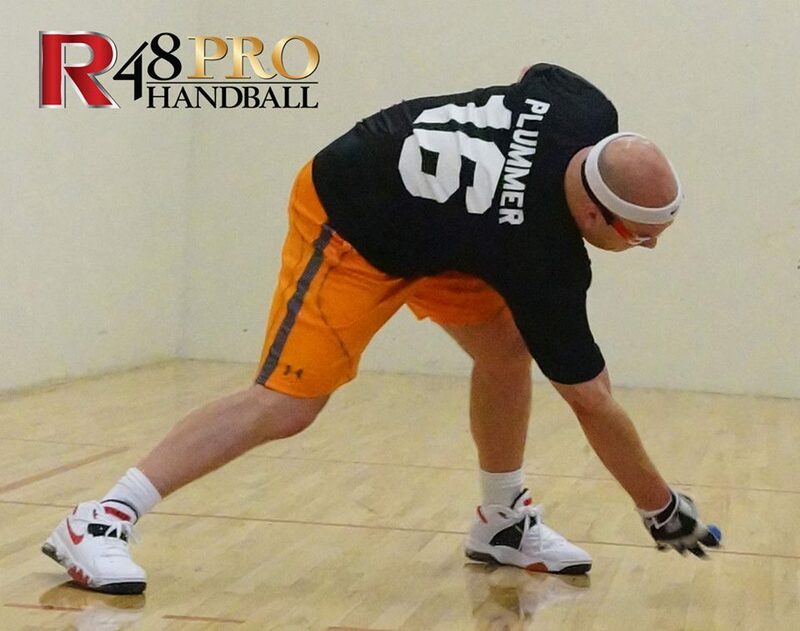 Good position is everything in handball. The other part of anticipation is watching your opponent’s body-position. 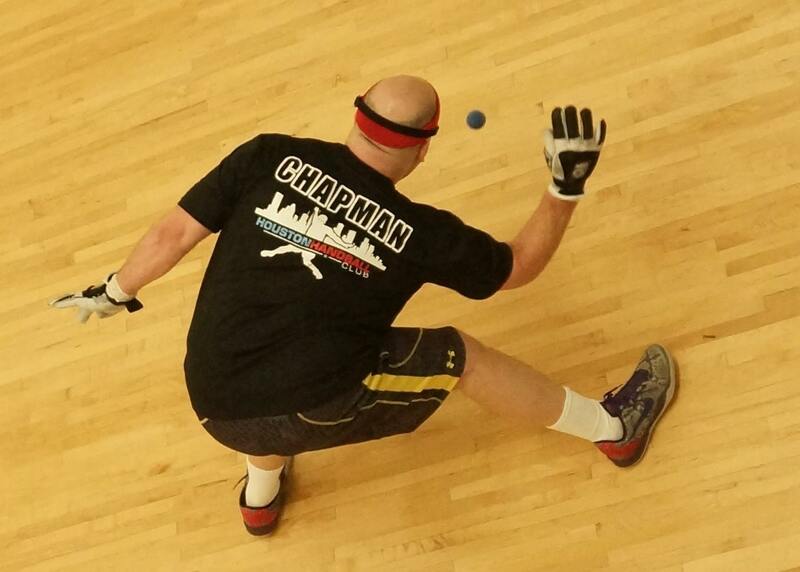 If the opponent is striking the ball below the waist, it’s more likely to be a kill attempt. Above the waist signals a ceiling or pass shot. Watching your opponent during every shot will help you anticipate the next shot and allow you to move to a better position. Have a game plan when you go into a match. Try to watch for and figure out your opponent’s weaknesses before stepping on the court. You might have to scout your opponents. I see most players repeat the same error with each player they face. They walk to the service box and power-serve to the left, but that is not the way to becoming a great handball player. 90% of handball players do exactly this. Instead, try to find a consistent serve that gives you a weak return. Once you get the weak return, you can gain control of the rally, and you can now focus on shot-selection. Many players make shot-selection too difficult. It’s not. It’s very easy. Arnie Aguilar probably has one of the best handball quotes of all time. “Hit it where they ain’t.” This small shot-selection will make your opponent move to the ball and have to hit it on the run. It’s very difficult to be accurate if you are contacting the ball while on the run. If you get in trouble during a rally, hit the ball to your opponent’s off hand. Most players do not have the ability to end rallies above their waist with their off-hands. Simple tip. Hit the ball to the player’s off hand. It doesn’t have to be hard or perfect. Many players also over-think. When your opponent is in front of you, don’t shoot the ball. When your opponent is behind you, shoot the ball. If you are in the front court in front of the service line shoot the ball in front of yourself. This is the 100% shot. Either you kill the ball or get a hinder. Don’t be risky or gamble on defense, AKA “receiving serve.” Be risky only on offense. What this means is when you are serving the ball, you can or should take more chances. The worst thing that can happen is a sideout. But when you take high risks on defense, and gamble and miss, your opponent scores a point. There are no special secrets in handball. Doing the basics and not trying to become creative will evolve you into a better player. +Hit serves to put yourself on offense. +Hit the ball to your opponent’s off-hand. +Move without the ball. (Don’t hit and stand.) Gary Maushardt is the king of this. +Take risks only while on offense (serving). +Play high percentages on defense, when receiving serve. +Hit the ball away from your opponent.